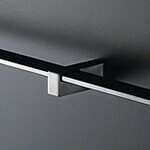 A range of stainless steel balustrade fittings with a distinctive square design. Not only does it make a design statement on its own, but using a combination of tubular fittings you can really let your imagination run wild. 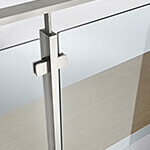 You can choose all the components you need for an indoor or outdoor balustrade. Alternatively, you can contact us to help you specify all the fittings and square sections you might need for your ideal square stainless steel balustrade. Introducing the innovative Square Line 60x30 Balustrade System. 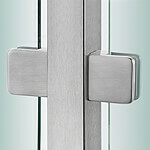 Glass balustrade Fixings for the Square Line 40x40 balustrade system. 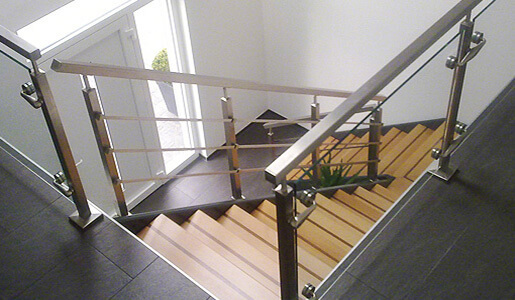 Complete Flat Profile Stainless Steel Handrail.